My mother lived for Poetry - Every letter she ever sent me included 2 or 3 poems, - in later years, the same 2 or 3 over and over again. 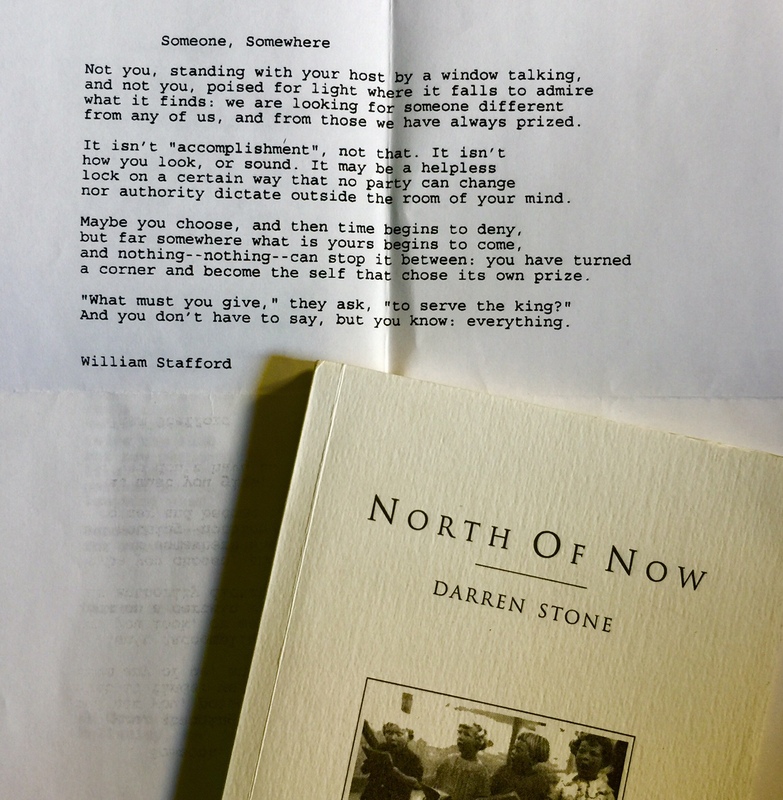 Today, I pulled "North of Now" - one of her own books - off the shelf. Out tumbled a William Stafford poem. Unfamiliar. I searched and found only one untitled reference to it. When I compared it to mom's typed up version, I found she had created her own "Stoney" version, including a new title. Nipped and tucked his words. Silly, loving, bewildered mom. She is my "So Much Mine" - And it's still a beautiful poem.